Dry Eye is a condition that occurs when your eyes either produce too few tears or the quality of your tears are poor. This can cause dryness, discomfort and may interfere with vision. Symptoms of Dry Eye include: burning or stinging, gritty or foreign body sensation, and watery or blurry. CELLUFRESH® Lubricant Eye Drops are specially formulated to moisturise, comfort and protect dry eyes, by helping to restore the moisture your eyes need with a special formula that has some of the same healthy qualities as natural tears. They provide temporary relief of burning, irritation and discomfort due to dryness of the eye or due to exposure to wind or sun. CELLUFRESH® lubricant eye drops are preservative free to avoid the risk of preservative induced irritation and are suitable for use with contact lenses. Wash hands with soap and water; dry them with a clean towel. Tilt your head back with both eyes open and look at a point on the ceiling. With your index finger, gently pull your lower eyelid to form a small pocket inside the eyelid. With the other hand, gently squeeze 1 drop into the pocket. Do not allow the tip to come into contact with your eye. Slowly close both eyes, but do not blink or squeeze your eyes, and gently press the inner corners of your eyes (by your nose) with your fingers for about 2 minutes. This will help the eye drops remain in your eye for a longer period. Gently blot extra drops from face with a damp cloth. Repeat steps 1-4 for the other eye. Replace the cap immediately after use. 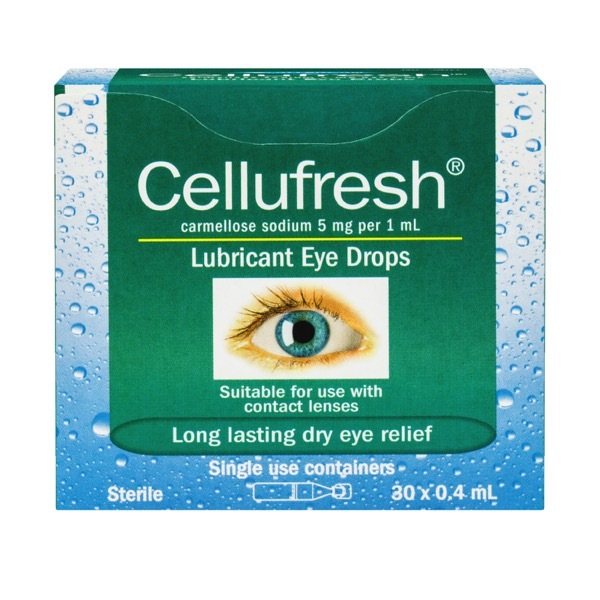 Cellufresh Lubricant Eye Drops provide long lasting dry eye relief. Suitable for use with contact lenses. CELLUFRESH® lubricant eye drops are specially formulated to moisturise, comfort and protect dry eyes. They provide temporary relief of burning, irritation and discomfort due to dryness of the eye or due to exposure to wind or sun. CELLUFRESH® lubricant eye drops are preservative free to avoid the risk of preservative induced irritation. Many things can make your eyes feel dry, scratchy, burning or uncomfortable including reduction in the amount of tears your body produces - tears which help to lubricate and nourish your eyes. CELLUFRESH® lubricant eye drops restore the moisture your eyes need with a special formula that has some of the same healthy qualities as natural tears. Suitable For: For use with contact lenses. To avoid contamination, do not touch tip to any surface. If irritation persists or increases, discontinue use and consult your doctor. Each mL contains: Carmellose Sodium 5mg. 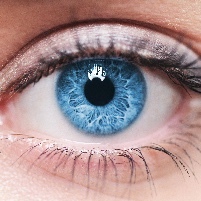 Instil 1 drop in the affected eye(s) as frequently as required and discard unused contents. Cellufresh Eye Drops 30 x 0.4ml Vials is rated 4.5 out of 5 by 2. Rated 5 out of 5 by letthnga from Great product I have been using this eye luricant for more than 5 years. It works to reduce eye dryness.